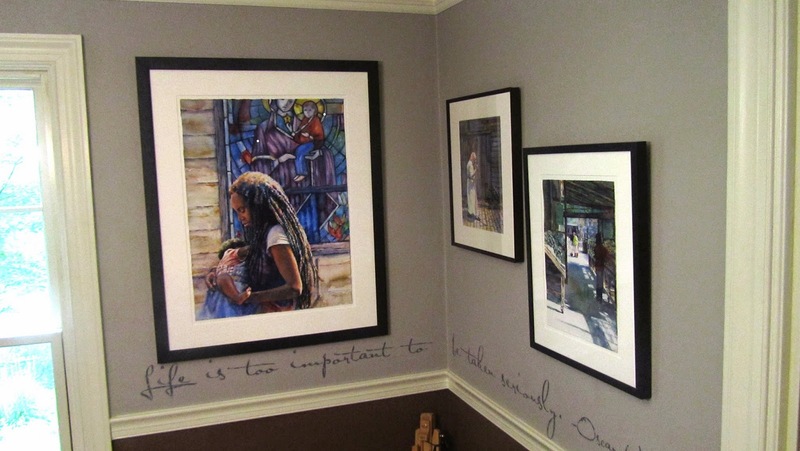 Framing my watercolor paintings has been a vexing subject for me for the past five years. Because I exhibit my work in a variety of different settings, I have often had to switch out paintings from one frame to the other, depending on the venue. A high-end gallery show may want fancy, wooden frames and museum-quality glass. 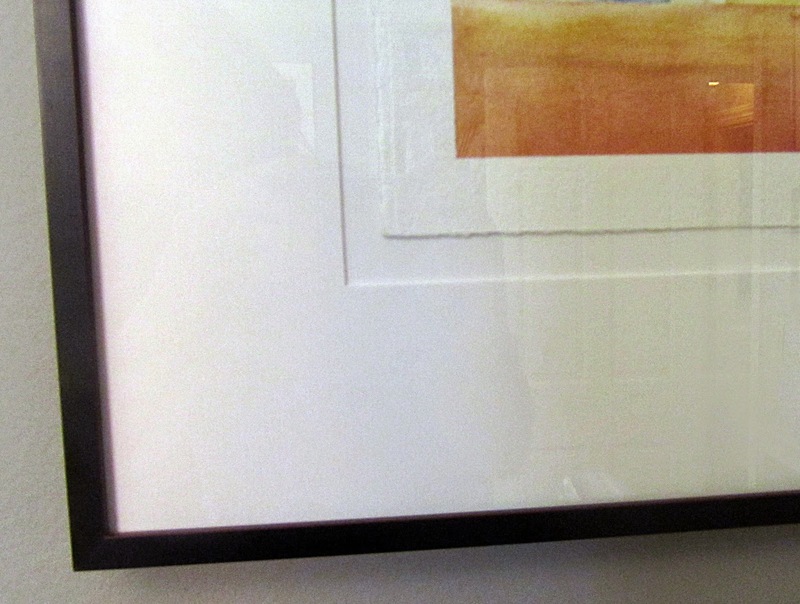 A national watercolor exhibition may insist on neutral mats and frames, and acrylic instead of glass. Aside from the obvious cost, it is just plain time consuming, and my paintings risk damage by continually removing them from the frames. I needed to find a consistent framing solution that would fit all the various venues and exhibitions in which I might show my work. of the galleries that prefer more ornate frames. but also have a museum-quality look and feel to it. 4. Keep costs to a minimum without sacrificing quality. 1. Frames - Instead of using ornate, wooden frames for one venue and simple, metal frames for another, I decided to merge the two. I found a company that carries beautiful wooden frames that have clean, contemporary lines and neutral colors, but with a little texture and design that would also fit a high-end gallery setting. 2. Glass vs. Acrylic - Voila! I just discovered TruVue Optium Museum Acrylic. Because it is acrylic, it won't shatter during shipping, yet it doesn't have the pitfalls of standard acrylic. For one, it doesn't look like acrylic; it looks like museum-quality glass. It is also glare and scratch resistant and 99% UV protective. One downside is the very high cost (see #4 Solution). 3. 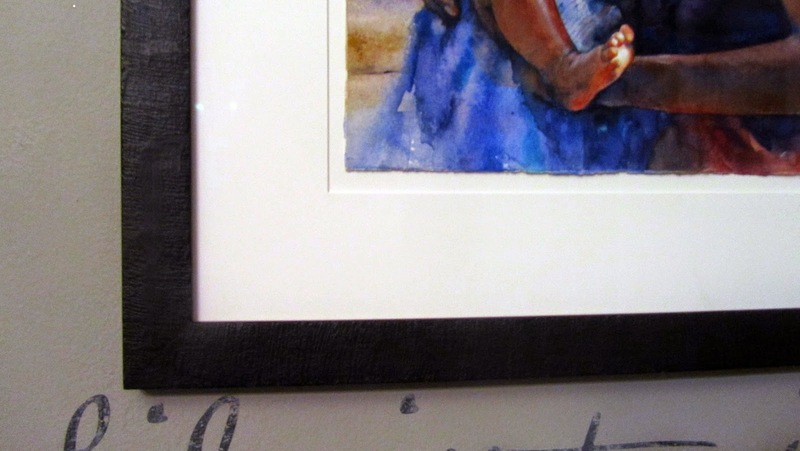 Matting - I know several watercolor artists who show the edges of their watercolor paper, and I've always liked the way it looks. I've tried different variations and came up with two that I like. inside an off-white mat, leaving about a 1/2" space. remove the tape, it leaves a nice, clean white border. 4. Cost - I have two trusty, full-service framers who both do beautiful framing. Normally, I would take my artwork to them. In a financial pinch, however, I have found that I can cut my framing costs in half by going to a local wholesale frame company and putting the frame together myself. Example: The museum-quality acrylic was quoted at $500 for a 30 x 36" piece! I was able to get it from a wholesaler at $260. That price difference benefits both me and my client, as it allows me to offer them a discount.